As the world is becoming ever more interconnected and co-dependent, the unquestionable presence of globalization, as the main force that is shaping the future of our planet, has before been both praised and approached with scepticism. And, while there is a lot of debate to be had in regards to its impact on the cultural and social lives of people, one thing that can’t be denied is that it is having a substantial positive impact on the world economy and the welfare of individuals. And the reason for this is simple, it allows for business to flourish, as it allows the free movement of goods, services and people across the world. However, while there are undoubtedly huge possibilities and upsides of globalization for businesses, one key element has become more complex and harder to manage, and that is the supply chain. The supply chain represents the way in which goods and services flow from your company to the customers, and encompass all of the movement and storage of raw materials, finished goods and components that you use for production. Traditionally, as companies operated mostly within the borders of a single country or continent, the whole process of managing the supply chain was relatively simple. However, as the world has become more globalized, companies are no longer centralized, as they can increase their profits substantially by building factories in some lesser developed countries or for small businesses, outsourcing mundane tasks to save time and money. While this is great for all of the people involved, it substantially increases the difficulties of managing a globalized supply chain. The main difficulty you are going to face with the globalized supply chain is its increase in complexity, that is primarily due to the logistical problems you face as you expand your business. Being able to get your products where they need to be and when they need to be there is very difficult, especially when you take into account the fact that the process of manufacturing itself has also gotten more demanding, since you are most likely going to need to provide materials and services for your products from a wide range of different suppliers. Another pressing issue is that a globalized market, brings with it new and demanding competition. This means that you are also going to have to put in substantial effort in order to increase the quality of your products and services, all the while trying to make everything faster and cheaper, in order to stay competitive. When this is factored into the already growing complexity of the supply chain, it can make things even more chaotic and difficult to keep up with. Yet, the biggest obstacle to overcome is the lack of information that comes from this added complexity, which makes things substantially worse. 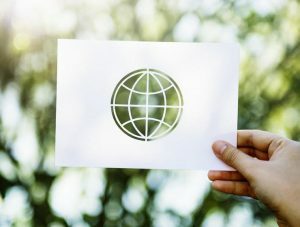 With so many different parts interwoven, it can be hard, or even almost impossible, to gather and adequately process all of the data needed in order to keep everything under control, and make good decisions, which further increase the risks and potentially catastrophic impacts adverse events can have on your business. If you are assessing the potential value adopting globalization as an asset for your business can have, or if you have already embraced it and are currently experiencing its rough sides, it can be difficult to see how these problems can be overcome. However, many modern solutions have been developed to try and tackle just these questions and give you the ability to get the most out of globalization. One of the more prominent ones is supply chain finance, which allows you to increase and more evenly distribute the working capital needed for your supply chain to keep functioning, decreasing your overall risks and troubles that come with the size and unpredictability of the global market. While there are many different types of supply chain financing the essential idea is that it can allow you to, for example, give products to an intermediary that than assumes the responsibility for them and in turn gives you a part of the money for it, with the rest of it upon its arrival. Another increasingly valuable trend and a crucial asset for the optimisation of globalized supply chains is the implementation of supply chain visibility. This process allows for you and everyone else that is involved in the supply chain to have a greater ability to track and gain valuable data on what is happening with products or components. Furthermore, allowing for everyone to better organize, meet demands and predict and prevent potential disasters. While it can seem hard and too risky, you shouldn’t forget the huge possibility globalization can bring to your business. This biggest upside undoubtedly being the exposer it brings, with new customers and the ability to rapidly grow and develop. On top of this it opens you up to new sources of labor, services and resources which you can use to further improve your products, but also to save money and ultimately increase your profits. While globalization can be viewed both for its positive and its negative sides, the fact of the matter is that it is happening at a more rapid pace than ever, and the many risks that are surrounding it are starting to be decreased and resolved. So, to only way to keep up with it, is to be daring, seize the opportunity, and get the most out of it.